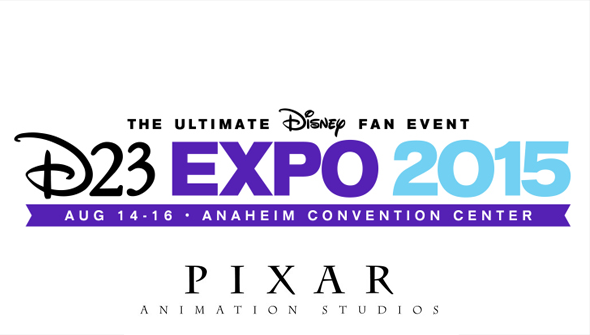 Currently underway in Anaheim California, Disney's D23 event has become something like a San Diego Comic Con for fans of the House of Mouse. The convention is packed with panels, many held by the production companies themselves to share details of their upcoming wares. Friday saw both Pixar and Disney take to the stage. Pixar revealed a row of new teaser posters for their currently announced projects- The Good Dinosaur ( late 2015), Finding Dory (2016), Toy Story 4 (2017), Cars 3 and The Incredibles 2 ("coming soon"). Initially, though, there was also a blank poster- what was this mysterious project to be? It would be revealed to be the mysterious Coco-set to be Pixar's next original (non-sequel) movie after this autumn's Good Dinosaur. Before that though, Pixar will return beneath the waves for 2016's Finding Dory. It seems that the title of Andrew Stanton's fishy sequel actually has a slightly different meaning to what you might be expecting. It will, of course be focussed on Ellen DeGeneres forgetful Dory, but rather than just do a virtual re-run of the first movie it has a less literal take on the title. Rather, it seems this time around Marlin will help Dory find herself, by trying to uncover her roots, a Triggered by a fragment of a memory from her past.